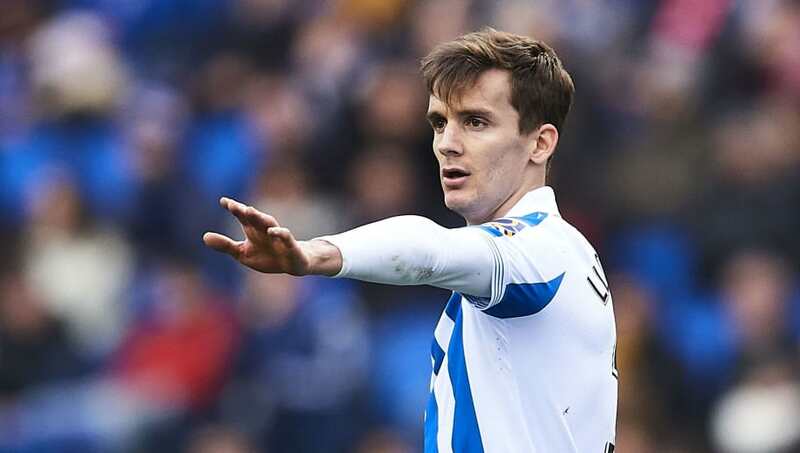 ​Neither Fulham nor West Ham have been shy about throwing their weight around in the transfer market in the last couple of windows, and reports in Spain on Thursday claim that the London sides could be about to go head-to-head for Real Sociedad defender Diego Llorente. The 25-year-old has missed large portions of the season so far with injury, but has still established himself as one of La Liga's outstanding defenders, playing every minute of his side's last six league matches. According to Mundo Deportivo (via ​Sport Witness)​ Fulham and ​the Hammers have noted his development, and are monitoring the the versatile defender, who has a release clause of €50m in his contract. ​AS Roma are also thought to be heavily interested, with sporting director Monchi reported to have watched the Spain centre-back in action in recent weeks. When fit, he has been a central figure to his side's success, and the claim is that Sociedad will only consider his sale in the event of an offer that 'exceeds the achievable expectations' of the club, so it doesn't seem likely he'll be coming cheap. To further complicate matters, ​Real Madrid maintain a €25m buy-back clause for the player, having sold him to Sociedad in 2017, so it remains to be seen how much their interest could impact any potential sale.